StyleWPThemes (Style WordPress Themes) is a resource website selective from top great quality WordPress products. We collect and introduce many WordPress Best Collection for designers who are in love with creative and innovative style. All of those collections are carefully collected and the best of all is they are totally free and ready for download. You can enjoy many free resources for a lot of topic, from icon for designers to theme for web developers. 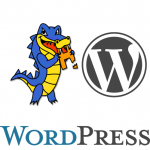 We come with a accumulation of the Best WordPress Styles 2014 from plenty of expert designers all over the globe. The website is marketed with highly effective WordPress Themes to protect all your objectives. Each only one was selected properly from plenty of layouts, each you have its simple to use functions, peculiarities, top revenue from popular organizations such as ThemeForest, ElegantThemes, Templatic ... Our own professionals analyzed 1 by 1 before posting over the web to make sure our prospective customers always get best WordPress Themes 2014 that they are looking for. We wish you like our Themes and find away what you need to showcase your business. We aim to help you find the best top great quality WordPress Themes and services as well as provide information, views, tips and tricks, books, useful information and resources to help you develop a top great quality WordPress website and showcase only the best premium WordPress themes commercial and free. Premium WordPress themes are themes which have been expertly developed and written, consist of innovative features, performance and additional services, and are usually marketed for a set price. By its most simple definition, a premium WordPress theme costs money. If it isn’t free, it is premium. There are no fixed standards or certification that designates a theme as being premium. Anyone can build a WordPress theme, brand it as premium, and offer it for sale.But typically speaking, a premium theme will have been built by professional web designers, with the specific aim of catering to a market who is willing to pay more for a better product. With that in mind, let’s take a look at some reasons why you should choose a premium theme : Quality, Functionality, Uniqueness, SEO Benefits, Security, Updates, Support . StyleWPThemes was founded by Phan Trang . 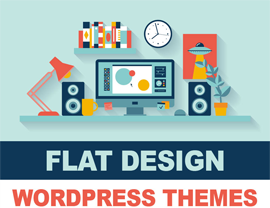 He loves WordPress and excellent design WordPress Themes, so him established StyleWPThemes to showcase the best wordpress themes available for WordPress. You can connect with him on Google+ and Twitter.